I collect and customize Breyer horses. I have nearly 300 of them, all sizes, from Mini Whinnies to Traditionals. I show in model horses shows as well, and many of my customs have won prizes. I also collect Swatch watches from the 1980s. I have about 50 of those, and still wear them. I don't have any photos at the moment, but I've been collecting records for about 5 years now (it was pretty much what I exclusively spent money on before I started collecting tamas). I have probably 600-700 in my collection currently, which ranges from the early 60s to more modern stuff. Just like tamas, I've met so many cool people because of this hobby and I'm very happy to have built up the collection that I have. I also have a pretty extensive record collection (about 500 albums and 45s.). I don't add to it any more though. I buy mainly CDs now. Mine is mainly 60s, 70s, and 80s rock. For a minimalist... I have quite a few collections; granted they are curated to a point of nausea (my current Tamagotchi collection has been trimmed to 3 tamas as an example.) because if I didn't do that I would be drowning in stuff. So what else is there? Dolls; Dolls are my biggest passion, my one true hobby to end all hobbies. 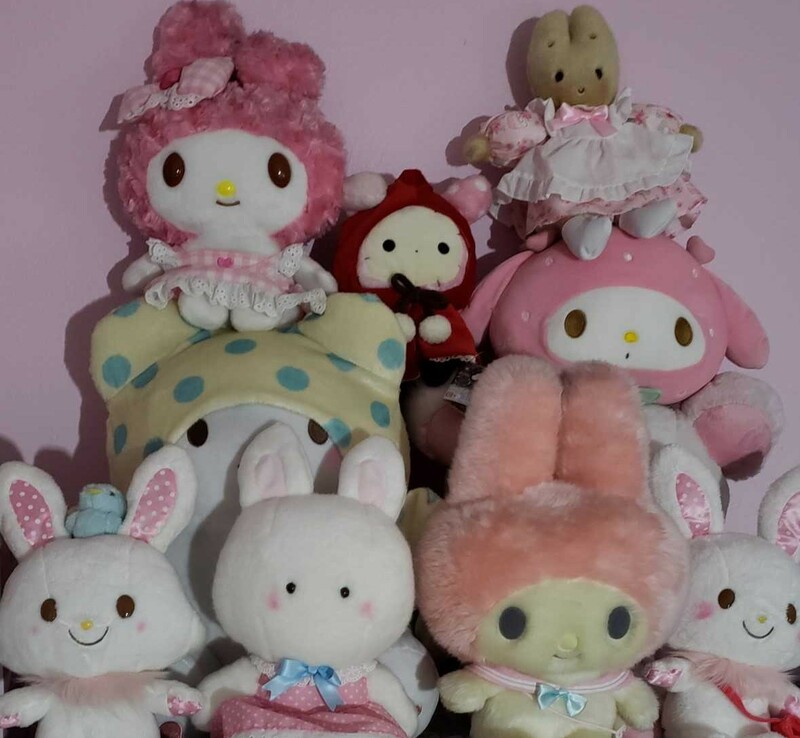 I collect Ball Jointed dolls and Azone Pureneemos and Picconeemos. Right now my count is at 14 dolls + some heads, 5 pureneemos and 3 piccos. I don't plan to expand much further than this, as I only have two dolls left in my BJD wishlist and none in the others. Nendoroids; I only collect very specific Touken Ranbu faves (the tenka goken and imperial treasures) and anything Bungou Stray Dogs they make. 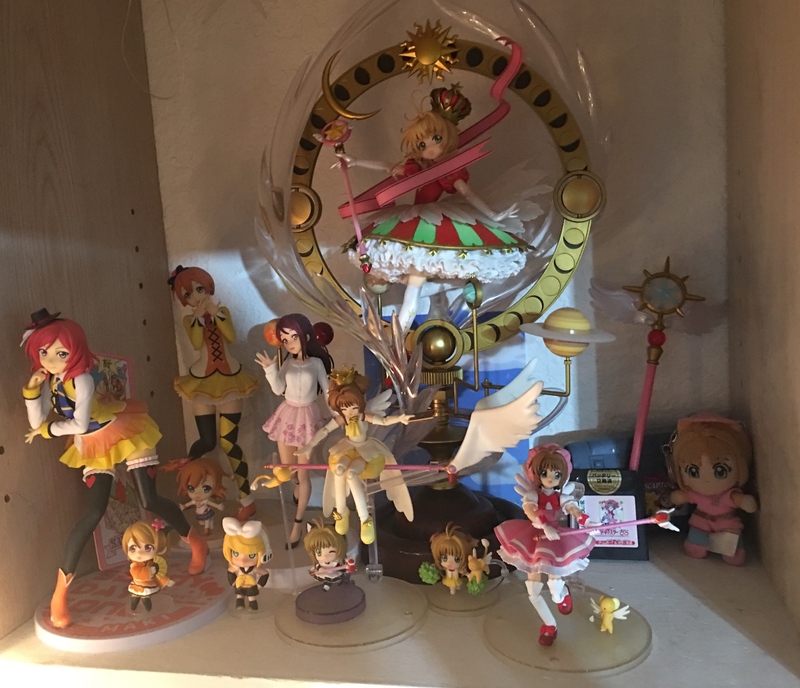 Five+ years of collecting later I still only have 8 nendoroids, and thankfully they fit neatly in their little case and don't obstruct much. I also collect miniature robots; namely neoanthropinae polynians (I have two, plus one on preorder, with no plans to own more) and megami device kits (I have two and would like to add a third). Then there's manga; I own five series in total, two of which are ongoing (Chobits, xxxHolic, Shinsoku Kiss which is only 2 volumes, Bungou Stray Dogs and Houseki no Kuni) and art books from a few favourite artists. Books, most of which are not in a physical format anymore. Games, be it digital releases or physical copies, I only get my favorites though and most are portable nintendo cartridges so very easy to keep tidy. I quite dislike the mentality some gamers have that they complete one game after the other just to have bragging rights for their unlocked achievements. And of course I can't forget about my BTS albums (only the Korean versions). I've been a fan since 2014 and proud of it. I can't decide whether I should get a giant Loch Ness monster or another bunnie for my next stuffed animal addition! I'm crossing my fingers that sometime in the near future I'll be able to collect old tech from the 80's or just vintage electronics as they tend to run for a high price and at my age I don't have much room to spend money on those items even though I admire the appearance/functionality immensely. I'm a sucker for bulky devices. Anyways, I'm glad for the existence of this thread. Thank you for making me feel less alone with my collecting habits and inspired to continue. Observing the hobbies/passions of others makes me happy.